I never charge folks charged with a crime, or their friends or family calling on their behalf, to give them some initial advice. I'm more than happy to so this for you. If I'm not a good fit for your particular case, I will gladly refer you to another attorney who may be a better choice for your situation. After 27 years of practicing law in the area, I know most every criminal defense attorney and their unique abilities. It's very important that you engage an attorney early in your case to avoid police trickery and mistakes that can cost you your freedom. DENNIS R. BOREN IS A NATIVE OF THE TEXAS PANHANDLE. He was born and raised in Borger and is a graduate of Borger High School. He received his undergraduate degree from West Texas State University; Master Degree from Dallas Theological Seminary; and Law Degree from the University of Tulsa College of Law. He's a former felony prosecutor in the 47th District Attorney's Office in Amarillo. He has been in private practice and business from 1990 to the present. 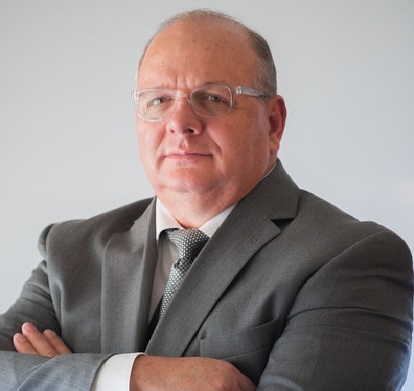 As a former prosecutor and experienced criminal defense attorney, he has the experience, and relationships with current prosecutors and judges, to help his clients receive representation they need to favorably resolve their criminal charges. "I believe in the Constitution and expect police, prosecutors and judges to uphold the letter and spirit of our constitutional protections. I hate injustice and petty tyrants who seek to victimize citizens." Dennis Dennis further says, "I personally handle all aspects of my client's case. If a client needs to talk to me, he/she needs to simply call me, and I will talk to him/her. I have heard time and again that folks are frustrated because they cannot talk with their lawyer. It's simple, I don't run from my clients. If I miss your call, I'll promptly call you back." Dennis is an avid golfer and swimmer, and he is a volunteer chaplain at the Texas Department of Criminal Justice, Clements Unit. Of course, it's not ethical for any attorney to make promises about an outcome of any criminal case due to his relationships with public officials. Yet, you will want to hire an attorney who knows and has good relationships with prosecutors and judges. I'm a former felony prosecutor, and I've worked with just about every judge and prosecutor in the Texas panhandle over the past 27 years. I believe that this is always an asset to any of my clients.